Sonia holds a Masters in Neuroscience from the University of British Columbia. She is a well-published scientist, Certified Clinical Research Professional, and a long-standing brain enthusiast. She has spent over 10 years exploring how the brain responds to different types of injuries, and how to help it recover using cutting-edge medical technologies. Sonia loves working towards finding the most efficient ways to bridge the gap between research and reality. In her spare time, Sonia can be found biking, surfing and exploring. Tori graduated from the University of British Columbia (UBC) with her Masters of Physiotherapy and a Bachelors of Kinesiology. She is a certified Vestibular therapist and a Clinical Instructor at UBC. Tori has a special interest in concussions, chronic pain and vestibular disorders. 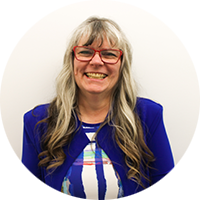 She is passionate about client engagement and empowerment and has contributed educational pieces for PABC, UBC, Pain BC and the BC balance and dizziness association. 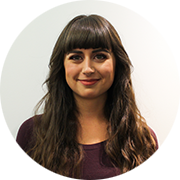 Tori has clinical experience working in public healthcare, private practice and neurological research. 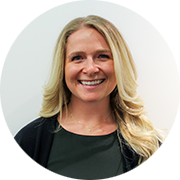 Combining her love for research and clinical practice, she is currently the Knowledge Translator for the Pain Science Division of the Canadian Physiotherapy Association. She is excited to lead the team as the Surrey Neuroplasticity clinic opens its doors. 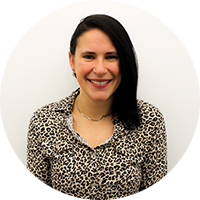 In the past decade, Marie-Josée has been working within interdisciplinary teams as a registered physiotherapist across Canada within both the private and public sectors. With the support of the Baxter-Ricard Foundation, she also completed two post-graduate Masters Degrees in Europe. This includes a MBA followed by an M.A. in Peace Studies and International Conflict Transformation. She published a thesis titled: “Healing inside the Chronic Pain Crisis” with a focus on pain neurophysiology and healing via neuroplasticity. Growing up in French rural Ontario, Marie-Josée completed her physiotherapy studies in Ottawa while owning and operating a rickshaw business. 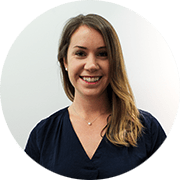 Juliet is a 2010 graduate of the University of British Columbia MPT program, and since then has worked in many different areas of practice throughout Vancouver General Hospital, GF Strong Rehabilitation Centre, and abroad in Australia and India. She has a passion for working with stroke, SCI, and various other neurological populations, although her diverse experience has prepared her for just about anything you can imagine! Since graduation, she has furthered her education with numerous courses for neurological and vestibular clients. She is certified to provide acupuncture as part of a comprehensive and holistic treatment. She has been eagerly awaiting the opening of the SNPC, as she wholeheartedly believes in the potential of the PoNS as a tool to help clients transform their lives. In her spare time, you can find Juliet in the mountains, under the sea, or travelling to the next sunny destination! 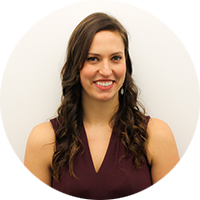 Alex completed her Bachelor of Kinesiology at the University of British Columbia with an emphasis in neuromuscular and exercise physiology. She has experience working in the sports physiotherapy and occupational rehabilitation field as a therapist. Her areas of training and experience have included TBI, concussion, stroke, and vestibular rehabilitation. Alex carries a holistic approach to overall health and wellbeing; that many facets of the body are interconnected and need to be looked at as whole. 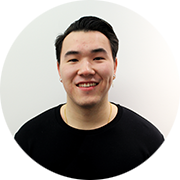 With a fresh start at the Surrey Neuroplasticity Clinic, Alex eagerly awaits all the new faces that come through the clinic. Having had previous concussions, Alex sees the difference a strong and supportive healthcare team can make to one’s rehabilitation journey. Mathieu graduated from Simon Fraser University with a BSc in Kinesiology. His practicum allowed him to understand how passionate he was about the profession and motivated him to persue it. He became Kinesiologist because he wanted a rewarding profession that allowed him to help people in achieving their best lifestyle. His he believes a healthcare professional should give the best possible service while building relationships with clients founded on trust and understanding. His neural rehabilitation classes during his undergrad really sparked his interest and got him excited about neuroplasticity and how it could be used in a rehabilitation program. He is looking forward to aiding in the advancement with the PoNS program with the SNPC! 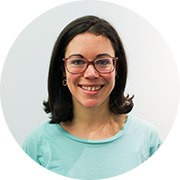 Beth enjoys working with the clients and helping them navigate through their health issues. She hopes to assist people in getting the care that they need in an environment where they won’t feel stressed. Beth loves to laugh with people and help them feel comfortable. Her hope is that our clients will feel at home when they come through our doors. Beth worked for Alberta Health Services in Calgary, AB for 15 years. She moved to BC in 2016 for the milder weather and family. In her spare time, she is helping out her mother and creating her digital embroidery patterns that she sells online through her own company. Golfing is her newest passion! Jill graduated as a Health Care Assistant in 2012. While she enjoyed being a part of such a diverse community, she felt that she wanted to expand her scope of practice and learn more about the rehabilitation side of a client’s journey. 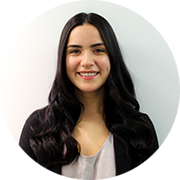 Her infectious energy, empathetic understanding of the client’s challenges and drive to help people recover allow her to use her past knowledge as she starts her role as the rehabilitation assistant at the Surrey Neuroplasticity Clinic. Currently, Jill is enrolled in night classes as she is working towards obtaining a Bachelors of Kinesiology. Suite 204, 13737 96 Ave.